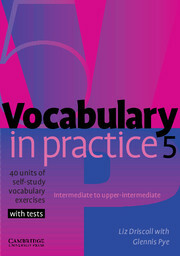 Vocabulary in Practice 5 covers about 600 useful words for intermediate to upper-intermediate students. 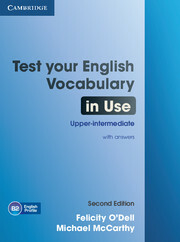 Contains 40 short units, regular tests, an answer key and a word list with pronunciation. It is ideal for self-study.